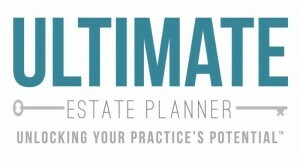 The Ultimate Estate Planner’s 2011 Super Teleconference Series – Call #1 on “Basic & Advanced Estate Tax and Asset Protection Planning” with guest speaker Steven J. Oshins, Esq. Grubb & Ellis Annual Due Diligence Meeting on Developing Effective Attorney & Advisor Referral Relationships. The Ultimate Roth IRA Training Teleconference Series on 1) The “Basics” of Roth Conversion Planning, 2) Advanced Roth IRA Planning and 3) Special Estate Planning for Roth IRAs with co-speaker Robert S. Keebler. Great Lakes Retirement Group Radio Show on The Personal Asset TrustSM & The IRA Inheritance Trust®. Advanced Planning Legal Network (“APLN”) teleconference trainings on the IRA Inheritance Trust® and Watch Out for Your State Bar Ethics Rules & Be Careful with Your Marketing! Would you like to have Phil speak for your organization? From teleconferences to webinars to live presentations, Phil is currently available for speaking engagements. Please take a moment to submit a request to us and someone from our team will be in touch with you shortly.